The LED Exit/Emergency Combo clearly accentuates emergency exits and works as backup illumination during power outages. Install above doors, in hallways, and other interior locations to illuminate dark environments. 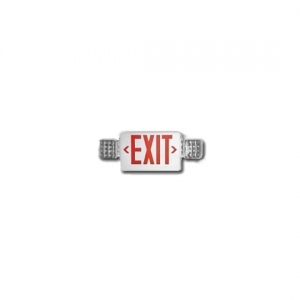 This exit sign uses LED heads for emergency illumination up to 90 minutes. Ceiling mount canopies allow for fast, simple installation.